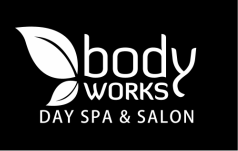 Body Works gift certificates make the perfect gift for any occasion. Click on the link below to purchase gift certificates for any dollar amount or a specific service. "Have a great birthday! We love you"
"Happy Birthday! Use this to help you relax and have some YOU time. I love you." "Happy Birthday, friend. Love you!!" "Happy Birthday to a wonderful friend. Relax and enjoy some pampering. Love you..."
"Happy Birthday! Thought you'd like a leg or foot massage with a pedicure, oh yes, and add a hand massage to that to top it off! Hope you enjoy your time at the spa." "Happy Admin Professionals Day! Thanks for all you do everyday! You are a pleasure to work with, and I sincerely appreciate all you do for me!" "We love you and you DESERVE a massage for all you do. "Thank you for a great third grade year!" "I am so happy for you and your marriage, here is a little something to have to prepare yourself for the big day." "We are almost there...I can't wait to see you at the end of the aisle. I know you have been working hard on the wedding, so i wanted you to take a chance to relax. I hope you enjoy. Love you!" "Hope this helps on "one of those days" Love you always." "Please take some time for yourself-enjoy and relax.Thank You so much for all you do for me all year." "Merry Christmas - enjoy the relaxation!" "I thought you may enjoy this and it would feel good especially for your back. I miss you and for now this can take place of the massage I wanted to give you. Happy Valentines Day Beautiful." "You deserve to be treated like royalty. Happy Valentine's Day!" "Happy Valentine's Day daddy, we love you so very much." "Happy Third Anniversary, I love you." "Happy Mother's Day! Thanks for all that you do for our family." "To a wonderful daughter in law! Hope you enjoy!!!!!" "Happy Birthday and Mother's Day. Take a day just for you and enjoy!" "We wanted to show how much we appreciate you. And how lucky we are to have you as our Mother! Happy Mother's Day/Happy Birthday WE LOVE YOU!!!" "HAPPY MOMMY DAY! RELAX AND ENJOY! XO"
"Happy Mother's Day! Go to the Spa and get a Pedicure on us and another!" for all that you do. I Love You!!!!" "Happy Mother's Day Grammy! We love you and miss you and can't wait for your visit!" "We love you and are so proud of you. You have worked very hard, now it's time to relax and take some time just for yourself." "Happy (belated) Birthday & Mother's Day! I hope you enjoy a nice massage! Sorry I couldn't be there to celebrate with the rest of the crew."